I wish I could tell you my second day in New York was different to the first, but it was just more of the same – walking around, drinking coffee, and going into shops on the east side of the island. I bloody loved it. 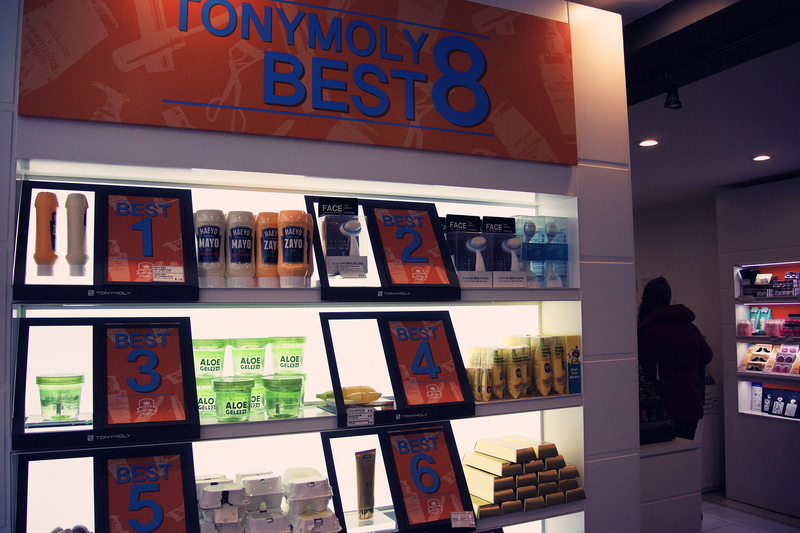 I started off in Korea Town at the amazing Tony Moly store. I spent ages in there, and must have picked up every single item in the shop but I could not decide what to get. I ended up with bunny lip gloss, panda mascara, and many sheet masks, and I’d even spent enough for freebies. This was possibly my favourite shop on my entire trip. I was very tempted to get the hair mayo – who wouldn’t be? I carried on south down Park Avenue, stopping in at Sephora and Bath and Body Works for my cousin. It was much colder today, and the wind was back to it’s usual wicked self so I was very grateful for my coat – I can’t believe I was considering not bringing it with me. 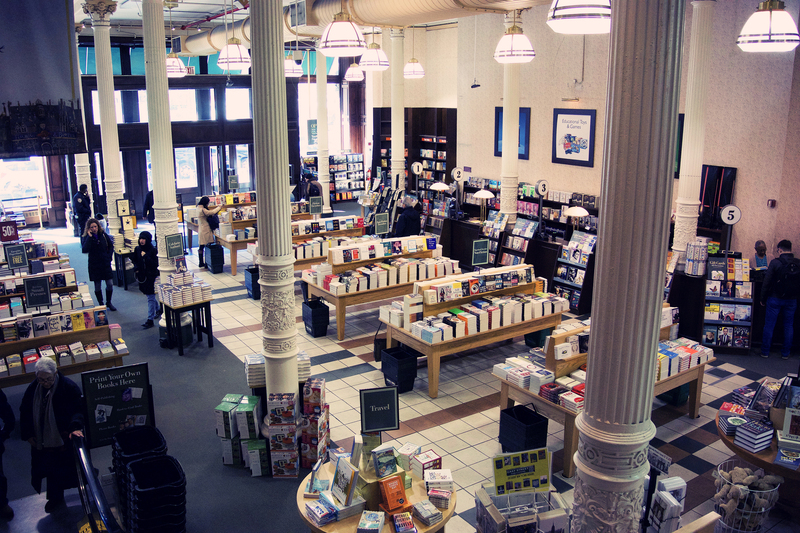 I eventually reached Union Square and spent ages in Barnes and Noble, swiftly followed by Nordstrom Rack. I’d been ducking into loads of bookshops trying to find Leah Remini’s book on Scientology, and had been getting dirty looks from shop assistants when I asked if they had it presumably because they thought it was pro-Scientology, so thank goodness for Barnes and Noble – they had loads of copies (it’s such a great book by the way, and finally got a UK release shortly after I got back). Nordstrom Rack is very similar to TK Maxx, and I found so many pairs of Kate Spade shoes that I have absolutely no need for. It also has Wi-Fi so I could check my bearings – WOO! 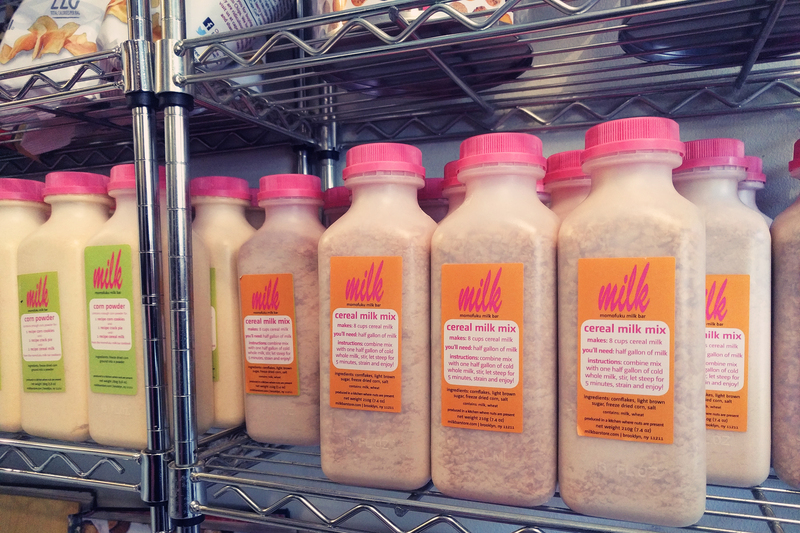 Even further south I ventured, and found myself in the tiny Milk Bar East Village. I had accidentally sent a co-worker to the Las Vegas store before it had opened, so wanted to make it up to her by getting some cereal milk. I also got myself a Chocolate Chocolate Cookie which was so salty, but so good. Should have got more. On into Soho. 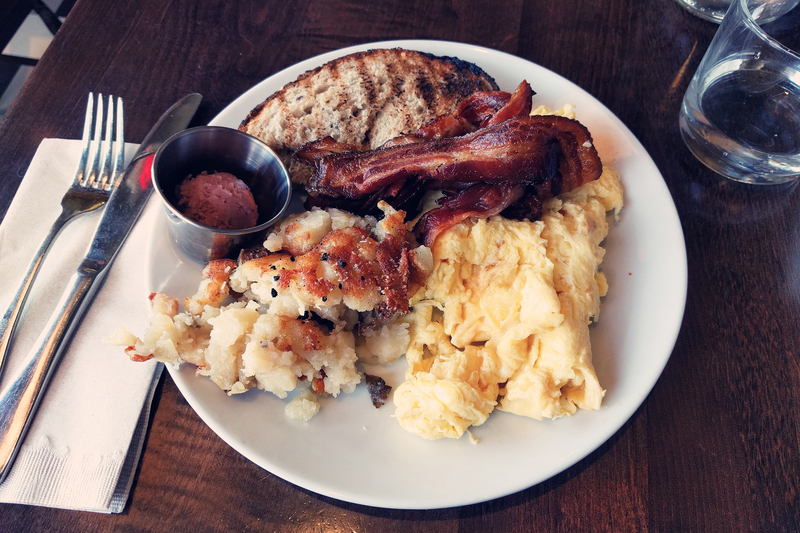 I aimed for the Egg Shop restaurant as I really fancied some eggs, but the wait was too long once I got there (I also chickened out on the solo dining front too – I was too intimidated). No eggs for me today, but I was just around the corner from the BirchBox New York store so of course paid a visit. This shop was SO NICE. If I hadn’t have entirely filled my suitcase already, I would have spent a serious amount of money. Such a beautiful, beautiful place. 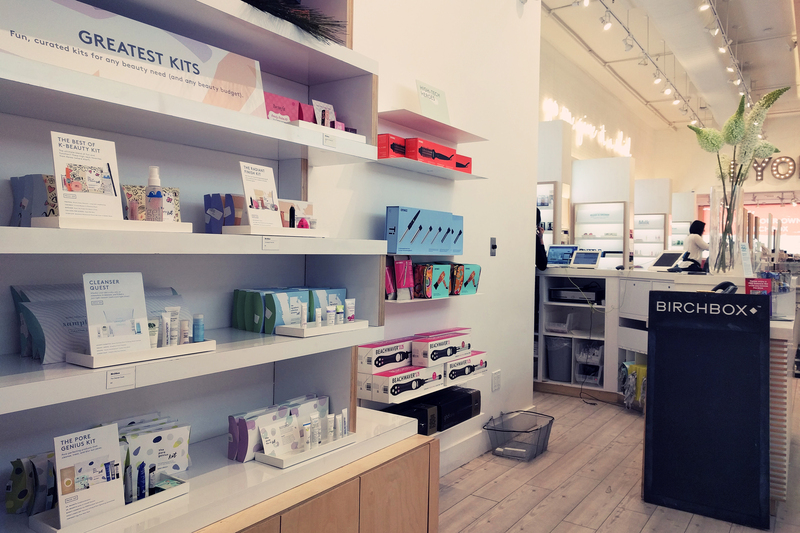 You can build your own BirchBox with a bunch of different miniatures, but they also stocked a lot of full size products as well. It was now 1pm and I was feeling sleepy and hungry so walked back to my hotel. 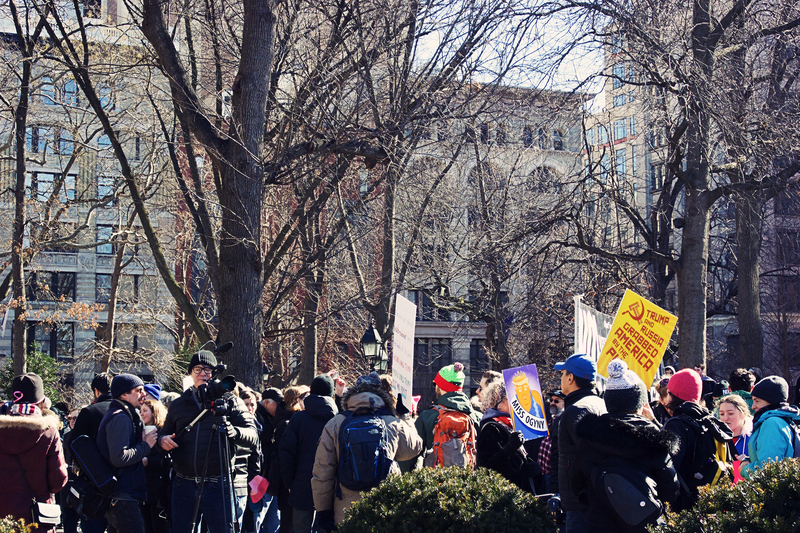 I walked through Washington Square Park and came across an anti-Trump rally. I sat watching for a while, picking up a couple of badges and reading all the placards. Back to the hotel with yet another Lenwich – what can I tell you, I’m obsessed with the Chicken Chedder – I watched a bit of TV and Hangout-ed Husband. After my batteries had been recharged, I headed back out and up to the HBO shop which should be renamed the Game of Thrones shop. They had about four items in the entire shop which weren’t GoT, but I did get Husband a Silicon Valley t-shirt. I had a quick wander around Rockefeller Center, picking up an EMS t-shirt for my little brother from the Fire Zone. Friday night in Midtown was so busy, and so different to my peaceful walks around Greenwich Vilage and Soho. I considered going to Macy’s but despite being 8pm, it looked crazy busy. I was also sad that the Shake Shack had a queue out the door, but that is the downside of staying in this area. I did managed to get a few more shops in before retiring for the evening. 28,000 steps for the whole day, not too shabby. Full Frontal with Samantha Bee – live taping! 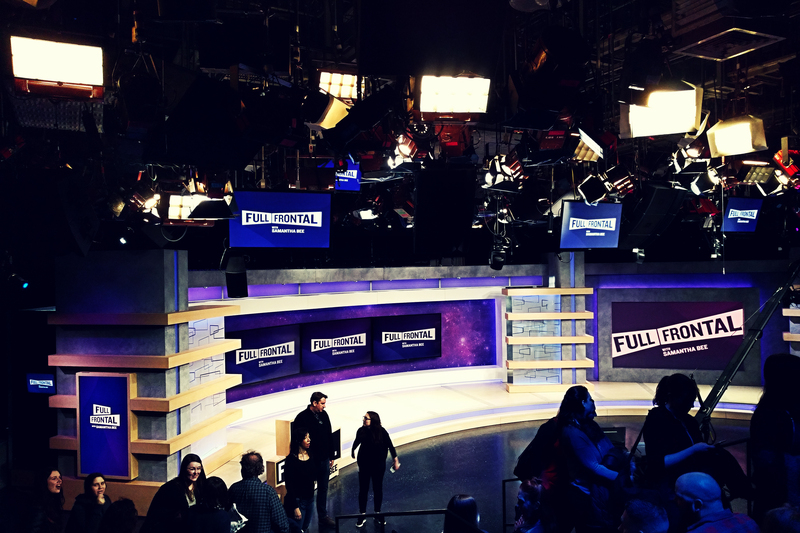 The very first thing I did when I got to New York last month was attend the taping of Full Frontal with Samantha Bee. 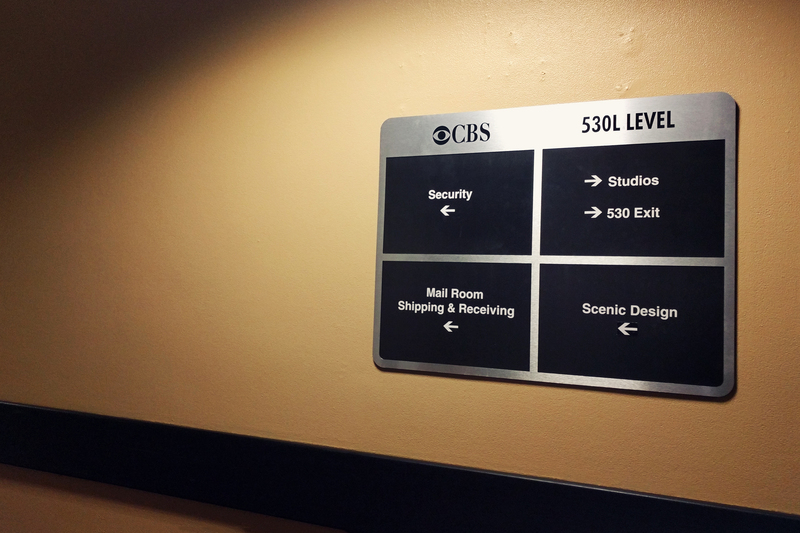 I landed at JFK at 2.30pm, jumped on the LIRR, dumped my bags at my hotel room on 33rd at 4pm, and made my way uptown to the CBS Broadcast Centre on 57th getting there exactly on time. It was a bit of a stressful way to start my NY mini-break but I would have regretted missing the taping. I applied for a ticket as soon as the schedule was updated three weeks before. The confirmation said that I’d hear within 5-7 days, and if I didn’t hear anything before 5pm the day before, then I’d not got a ticket. I didn’t hear anything so I forgot all about it. And then at 11pm the night before, as I sat on the beach in Florida, I got the confirmation email. I. Was. Excited. I hadn’t booked my NY flight intending to go to the taping, so I was very lucky the timing worked out for me. Slightly breathless from my JFK trek, I was just super happy that I made it at 5pm on the dot. You’re asked to get there between 5 and 5.15, but there were already about 20 people in front of me – I’d suggest the earlier the better. As it turned out, being in the “fan line” was still no guarantee that I’d get to the studio. 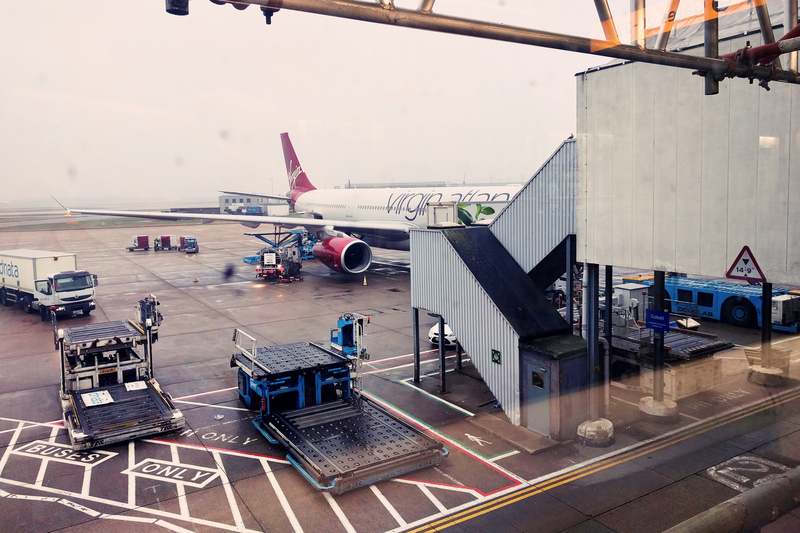 I first joined a queue to get through security – they advise you not to bring large bags, food, drink, or cameras (you also have to wear “camera friendly clothes”). You do get searched and have to go through a metal detector, so I only brought the essentials. After the security queue, you queue to get in a holding area, where your name is ticked off on a list and you’re seated in a windowless room (with Wi-Fi though, so it wasn’t all bad). Everyone sat in rows in the order we arrived, and we were given regular reminders to go to the bathroom, and worryingly that we still weren’t guaranteed a seat. I had a horrible feeling that I wouldn’t get in, especially as the time ticked away and the email had said the taping would be over by 7ish. It felt like we waited for a really long time, but it was about 45 minutes overall, the room filling up and overspilling into another. The woman in charge kept telling us that they were waiting for the ‘proper’ guest list people to get seated (there was another room full of those people apparently), but then we were ushered out of the room and through the corridors to the studio upstairs. I could not stop grinning as I entered the studio and saw the iconic set. I was sat on the right side of the audience which was already about 2/3rds full as I sat down. Once everyone was seated, we waited for a bit more and then Allana Harkin came out to warm us all up. Still feeling a bit giddy from the conference, I put my hand up when she asked if anyone was from outside NY and after she found out that Full Frontal isn’t shown in the UK, she had a good reason to yell at a producer about why not (I had to explain us Brits watch it on YouTube). There was someone from Australia in the audience, but she’d been in New York for a month, so that didn’t count. I was promised merch for travelling so far, but sadly that didn’t pay off. Talking of merch, I’d hoped to get a Nasty Woman or Feminist t-shirt, but there isn’t a shop there. Allana (and later Sam) threw out some t-shirts and tote bags, but only a few people got those. Suitabley warmed, Allana introduced Samantha. It goes without saying that she was hilarious, but I wasn’t expecting how under control everything was. It was filmed exactly as it was shown, each segment in one take and with only a short break between to reset the cameras. Ashley Nicole Black came on to present a segment she’d filmed on Black History Month – I don’t know if the other contributors are always at tapings, but I loved that I’d been able to see both Allana and Ashley. When all the segments had been filmed, Samantha checked to see if anything needed re-filming (it didn’t – she’d nailed it) and then we were done! I can’t believe how little time it took – we were out of the studio by about 7.30, leaving me plenty of time to get back to my room, find TBS, and watch the show again at 10.30. An amazing start to my NY trip. AKA this introvert’s guide to solo travel. I had such a good time on my trip to Florida and New York, a fact that surprises me. I thought my social anxiety would be a barrier and put me on edge all the time, but being without anyone I knew actually helped in a way. My trip started with a 9 hour flight, and it was easy to be alone for that. Headphones on, films playing. Virgin Atlantic doesn’t have a lot of choice if you’re up to date with recent releases, so I had an iPad full of TV shows as a back up. 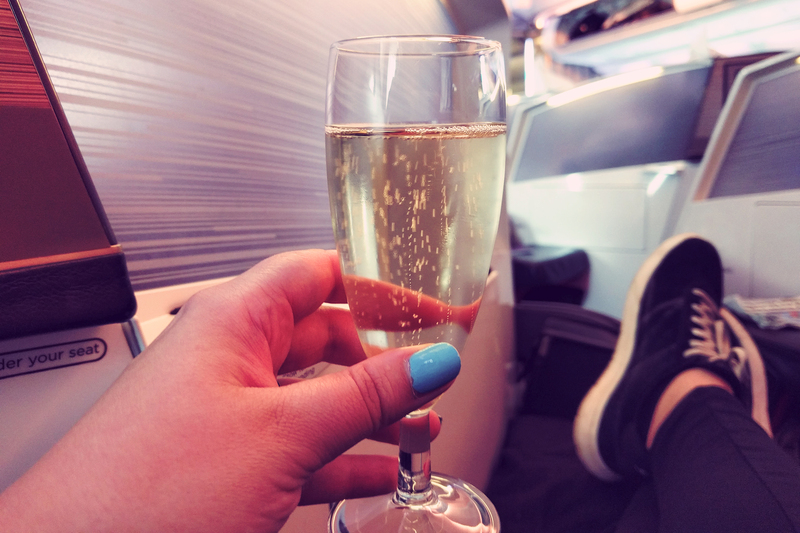 My main gripe was the lack of space in standard economy – when travelling with Husband, he always pays for extra leg room for us both as he’s a giant but who knew how cramped economy actually is! My stopover was in Detroit, and I did experience a bit of fuss getting through immigration. I’ve done American immigration many times before, but wasn’t prepared for them to ask me why there was a Green Card on my file (no idea whatsoever – something has gone wrong somewhere!) and then start questioning me about why I was on my own. I did succumb to a bit of panic at that point. Fortunately, after a bit of questioning, I was let through and could spend an hour and half wandering around the airport. I had a coffee, got a bit of a manicure at the Be Relax spa, and stretched my legs before the next flight. A flight that I wasn’t actually booked on. I’ve asked Expedia to look into what happened as I very nearly didn’t get on the plane – it was only because one of the other passengers didn’t turn up that I was given a seat. It was almost better that I was alone as I didn’t need to worry about keeping Husband chilled out. I figured that considering I’d paid for a flight, they’d have to get me to Tampa so ultimately it wasn’t worth worrying about. 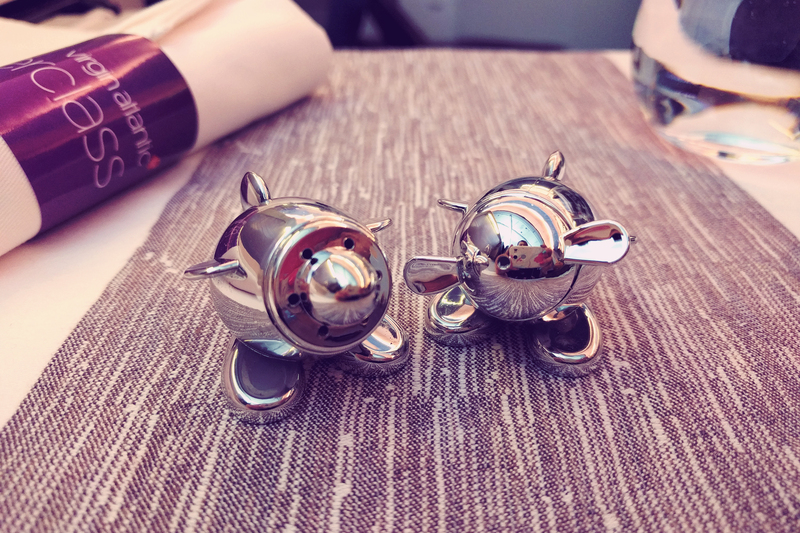 I’ve done conferences alone on many occasions, and I’ve tended to keep myself to myself, sneaking back for some room service, or out into town for a bit of shopping. I wanted to do this conference differently, and it was definitely easier because of the Americans. As soon as anyone heard me or the other two Brits talk, they instantly gravitated towards us and I met so many fun people that it was impossible to be introverted. I even stayed until the very end of the party which I never do. I remember saying to one of the other attendees that I didn’t recognise the American version of me – I got used to sitting down in a seminar, just talking to the person next to me, and not worrying about whether they thought I was odd. Of course I was odd – I was from an entirely different country! I just had to make sure I had space for a few restorative niches for my own sanity – there is only so much chit-chat I can take sometimes. 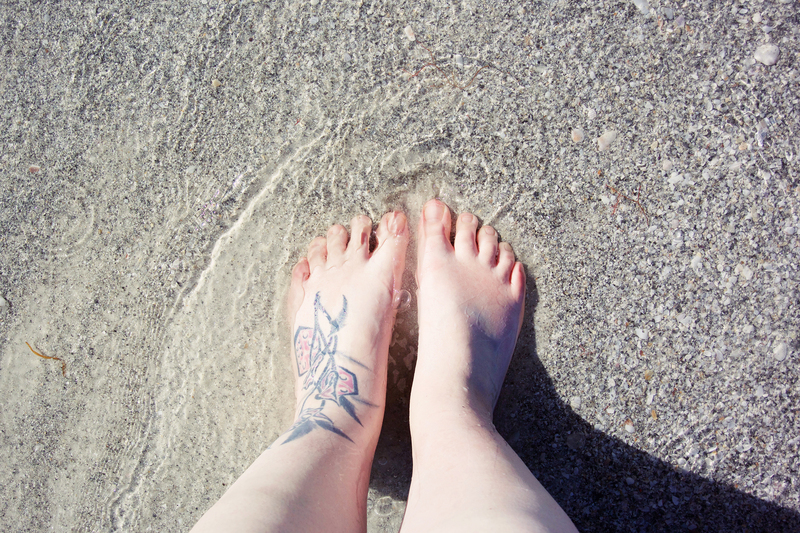 Outside of the conference, I walked on the beach, I sat by the pool – no one stared and pointed because I was on my own. I was in my own little world and so relaxed. My final three days were spent in New York which is an amazing city to visit alone. I have been there twice with Husband – if this was my first trip I would have done things very differently but I didn’t feel like I had to do any of the touristy things because I’ve done them. I had my own schedule – I’d wake up naturally, watch Good Day New York (mainly because of the inimitable Greg Kelly), stop at one of the many Starbucks for some coffee, and then just wander around. I’ll blog seperately about where I wandered (or more specifically, where I shopped), but I didn’t mind being alone at all. A lot of the advice I got before going away was “just chat to random strangers!” but being an introvert, this wasn’t always what I wanted to do. Fortunately as an introvert, I don’t mind my own company. In fact, I positively love it. Yes, I did miss having Husband with me and I was very chatty on Hangouts with him as there was so much I wanted to share but I had the freedom to spend an hour in Sephora without feeling bad. 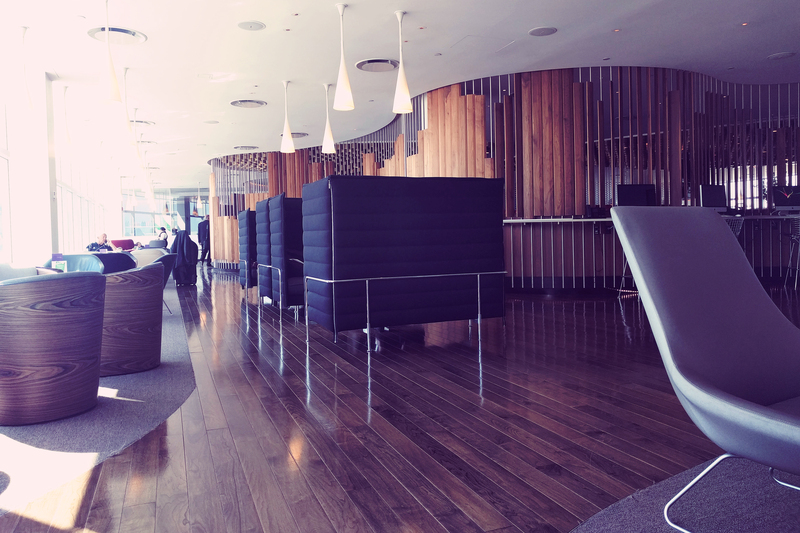 Once I’d mastered solo travel, there was only one hurdle left – eating alone. Starbucks and Lenwich were easy, but despite reading loads about how New York is the best place for dining-for-one, it still felt really difficult. I avoided it for a couple of days (those Lenwich lunches were really filling) but on my final morning, I armed myself with my Kindle, took a deep breath, and went to Friedmans. I sat down and immediately saw two other people dining on their own. I really had nothing to worry about, and ended up with a plate of the most amazing eggs. I don’t know whether I’ll get the opportunity for solo travel again, but I know that I won’t need to worry if I do. You guys, I’ve finally travelled internationally for work. I’ve been to a lot of conferences over the years, but whilst colleagues in Recruitment get to leave the UK, all of mine have been squarely in country. But not this time. This time, I got on a big plane, then a much smaller plane (that technically I wasn’t booked on – I’ll explain later) and eventually, after 14 hours of travel, I ended up on a beach. 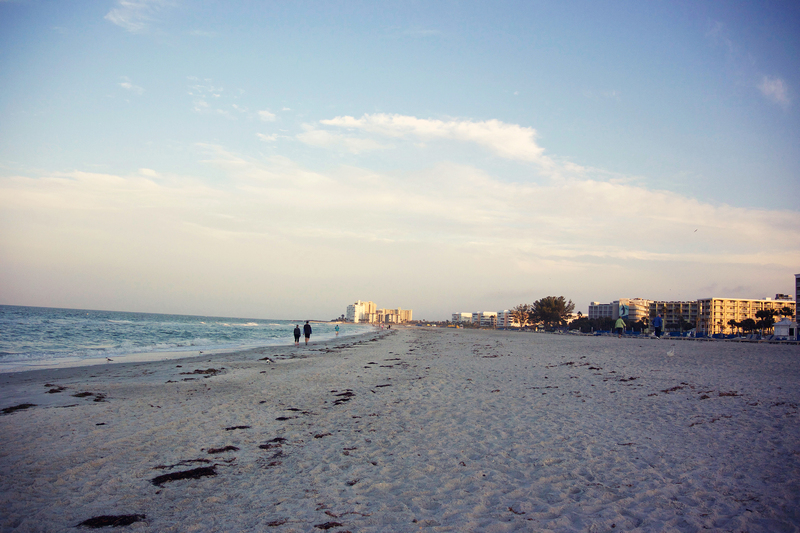 The beautiful St Pete Beach to be more precise, where I would spend 4 days learning from Americans. I loved it. I loved it so much that I almost cried when I had to go home. I’m still sorting through my photos and thoughts from the trip, but I thought I’d blog about it in a bit more detail as it might be something colleagues in my sector would enjoy reading (equally, it might not be, but blogging in detail about my trips is what I do) . I’ve had to take a bit of break from my normal life over the past couple of weeks for one reason or another, but all the news on the 2016 blizzard is making me nostalgic for our blizzard experience, so thought I’d read through all my posts from this time last year. Husband and I have been discussing our memories of those few days and we differ slightly – my glasses have more of a rose tint than his. He remembers freaking out about being stuck in New York, not being able to get back for his new job which was starting the following week. I remember SNOW! 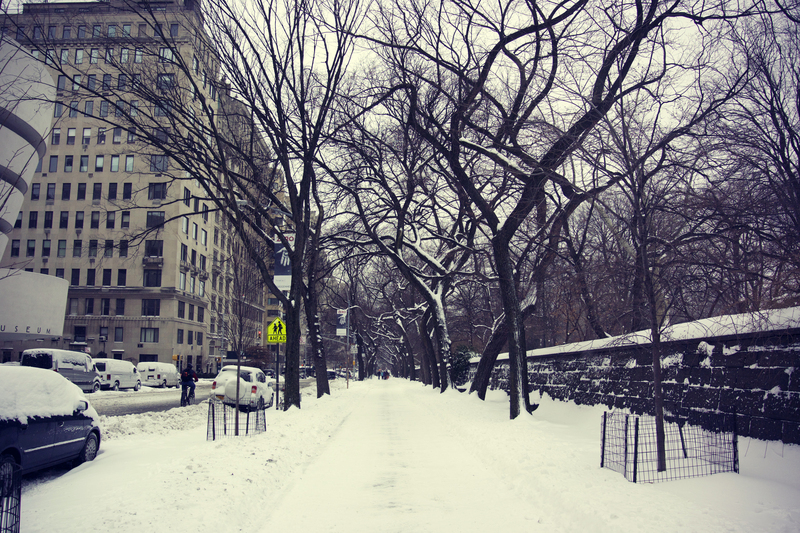 AMAZING BEAUTIFUL SNOW! 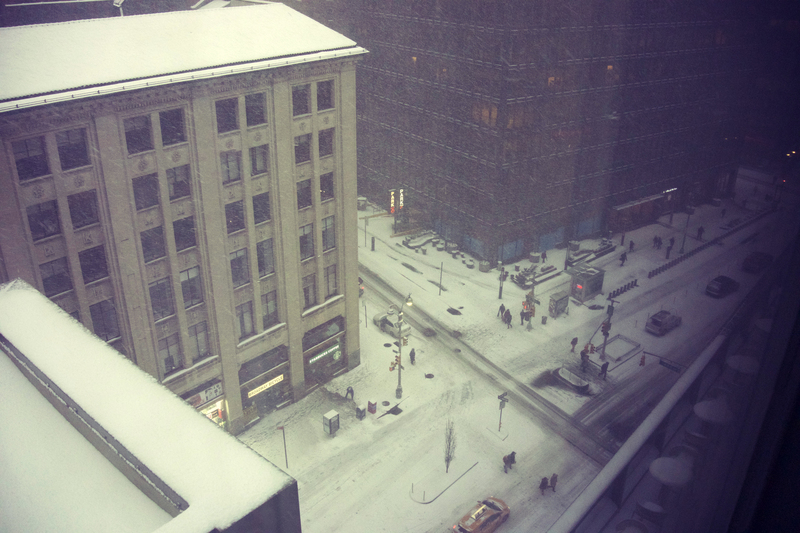 A little part of me (OK, a big part of me) would love to be holed up in a New York hotel right now, watching the snow out of the window. Especially because we’ve had barely a millimetre of the stuff over here. Our next holiday will most likely be warm, so I am really feeling my lack of snow and I live in hope that we have a late winter here. For now, I’ll just have to make do with my misty watercolour memories of the 2015 blizzard (which ultimately never lived up to the hype). Despite having another five days to tick off items from what we didn’t do in New York last March, we still have so much we didn’t do. 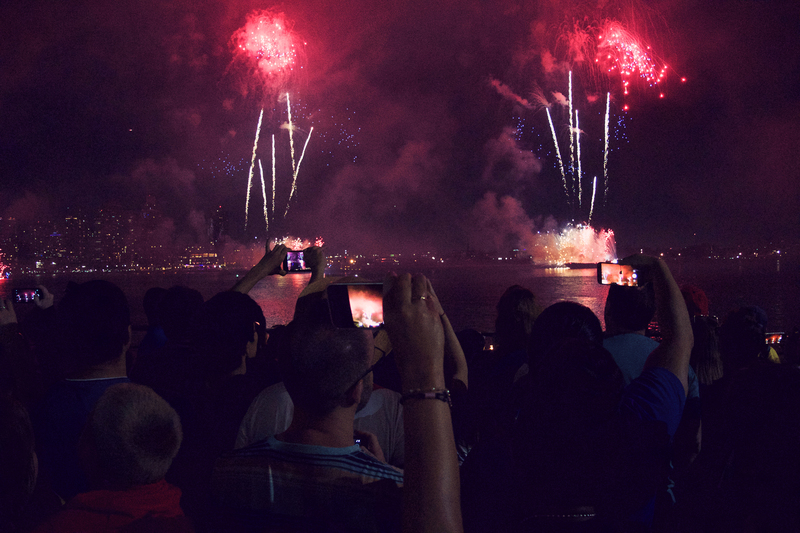 Visit or even see the Statue of Liberty – still nope. Go to the New York Public Library – another big nope. 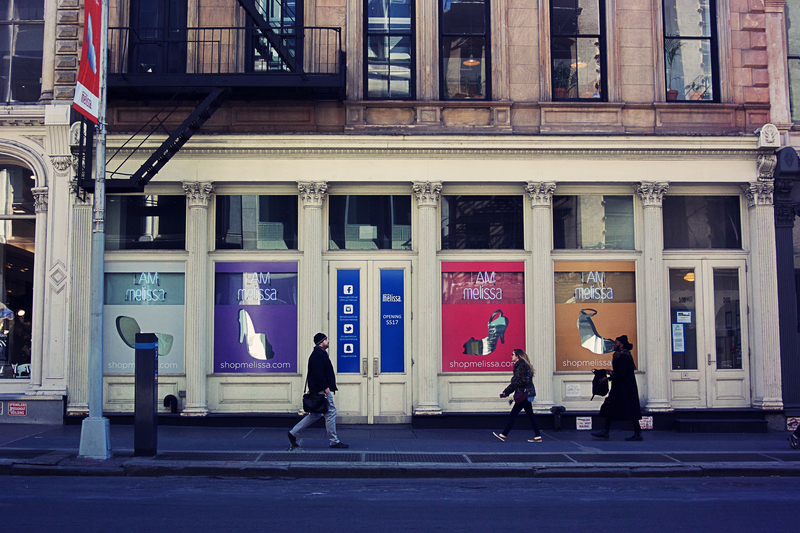 Eat at Big Gay Ice Cream every day – probably not a good idea in a blizzard. Buy the hard copy of Divergent I need for my collection – Barnes and Noble didn’t have it! 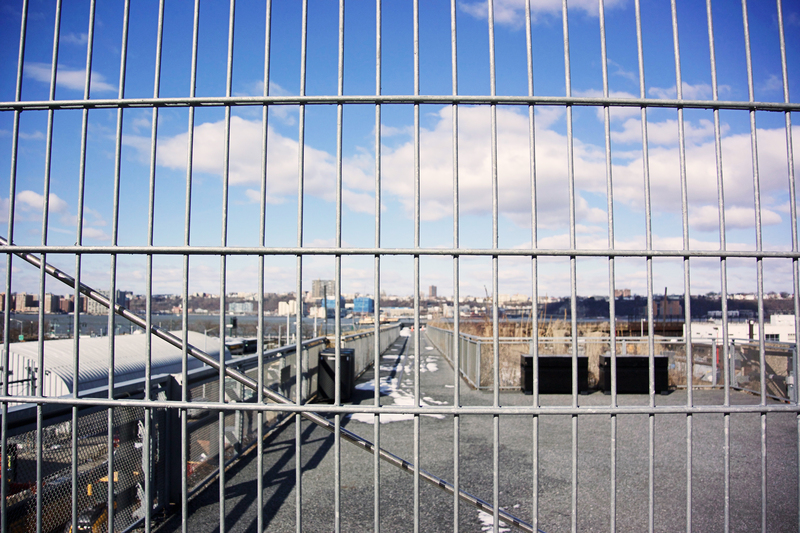 Go below 9th Street – we went pretty much all the way to the bottom. Woo! 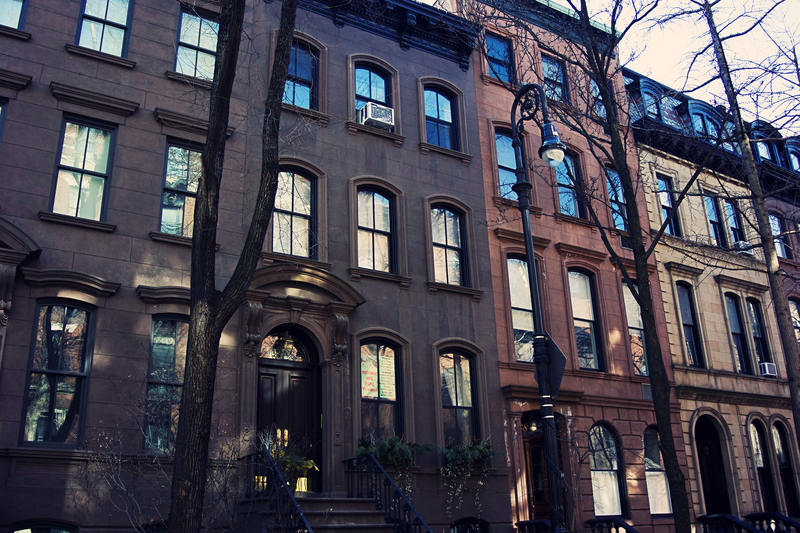 Visit the Upper East Side – I can tick this off but only just. Go to Whole Foods – still no. Damnit. Take the Staten Island Ferry – too cold! Ride in a taxi – no need! 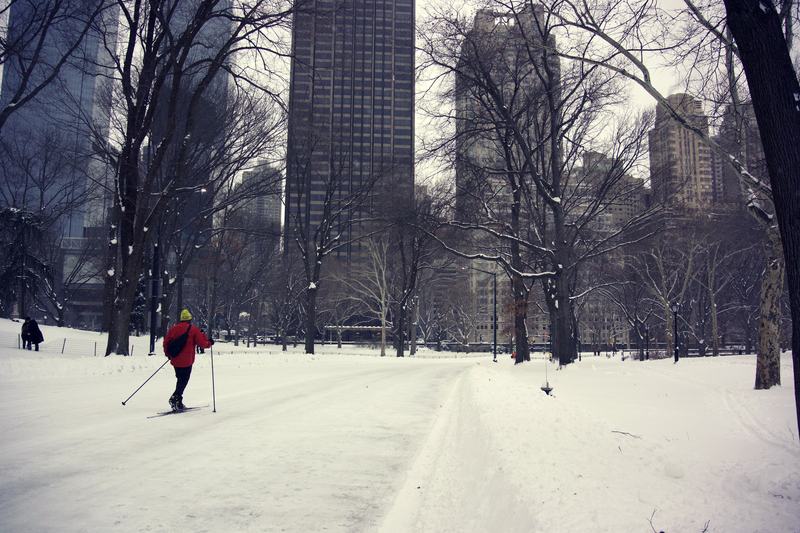 Properly explore Central Park – I feel happy that we’ve done this. Visit the UN – Hmmm, kind of. Well, we went passed it. 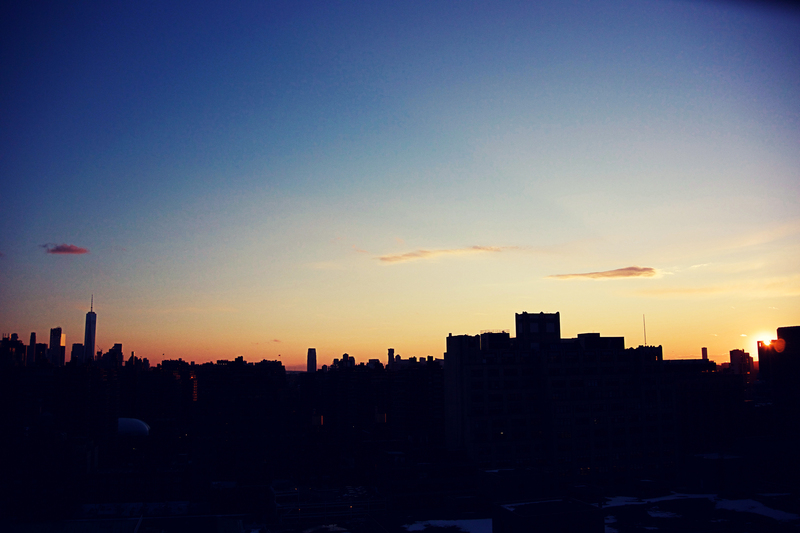 I need to do more of the East Village next time. I want to see some greenery on the High Line. I want to see less of the tourist districts. 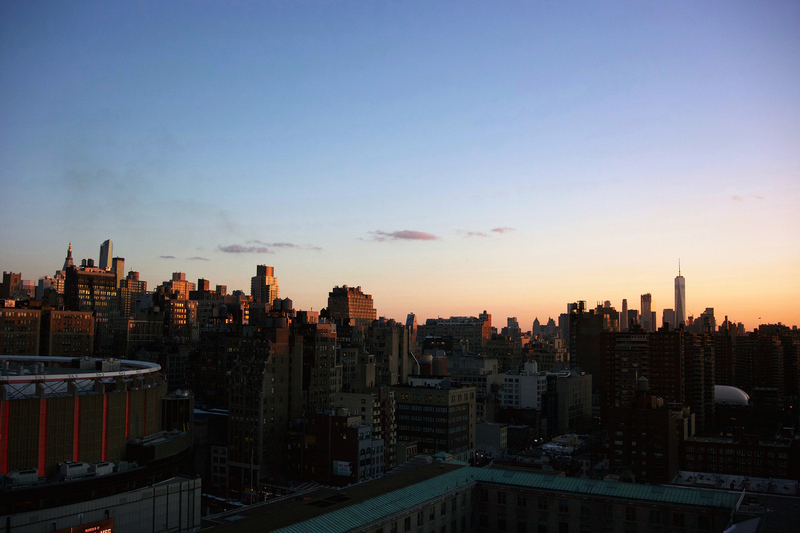 I think we’re done with Midtown so I’ll need to research some hotels downtown, in Chelsea, or Tribeca. Admittedly, it’s probably going to be a while before we’re back in NY, but I thought that last time and 9 months later, back we went. Day five in New York and I finally managed to sleep in. Hooray! We didn’t have to worry about packing as we’d done it the night before, so we were able to check out pretty soon after we woke up. After being ignored by the doorman (grr), we left our bags at the hotel and walked down 10th Avenue to the 30th street entrance to the High Line. 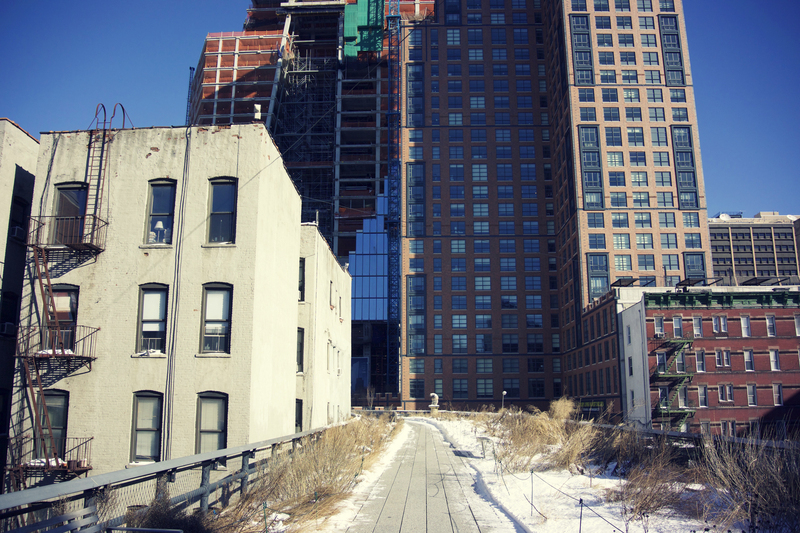 I loved visiting the High Line last year despite it being crowded and grey, and couldn’t wait to see it in the snow. We checked their Twitter to make sure they were open, and whilst the new bit wasn’t open (the loop around the train yard), the rest of it was clear. Both of ice and people – it was amazing! 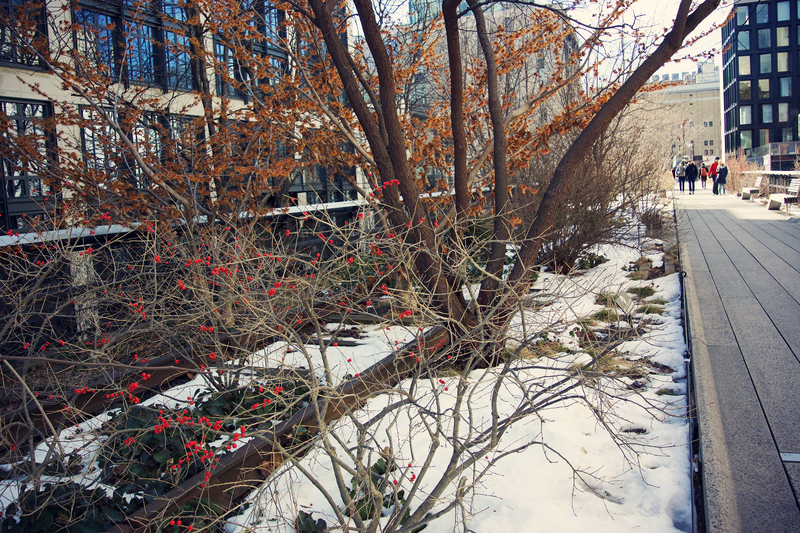 Walking the High Line is the best meditation. We passed maybe a dozen people on the whole walk, and at times, there were more volunteers clearing the snow than visitors. 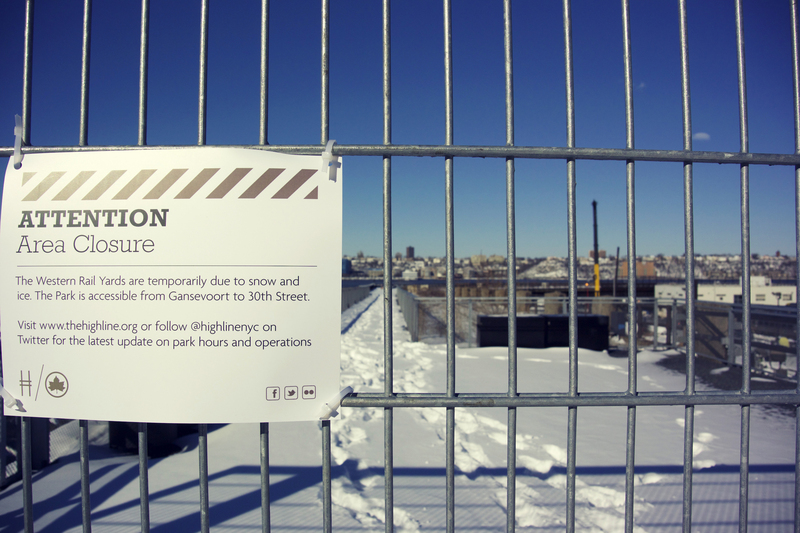 I am sad we didn’t get to walk around the railway yards – it wasn’t open last year and was underneath a good few inches of snow this time – but one day we’ll go back and see the whole thing. And in warmer weather hopefully. It was completely worth braving the crazy gridlocked 10th Avenue (yes, New York had got back to normal after its two days of silence) and the wicked wind whipping off the Hudson. If I lived here, I would be at the park every day. Bliss. My Mother-in-law had recommended Chelsea Market to us, so we forfeited the last couple of blocks of the park to visit the market on 16th Street. Wow. 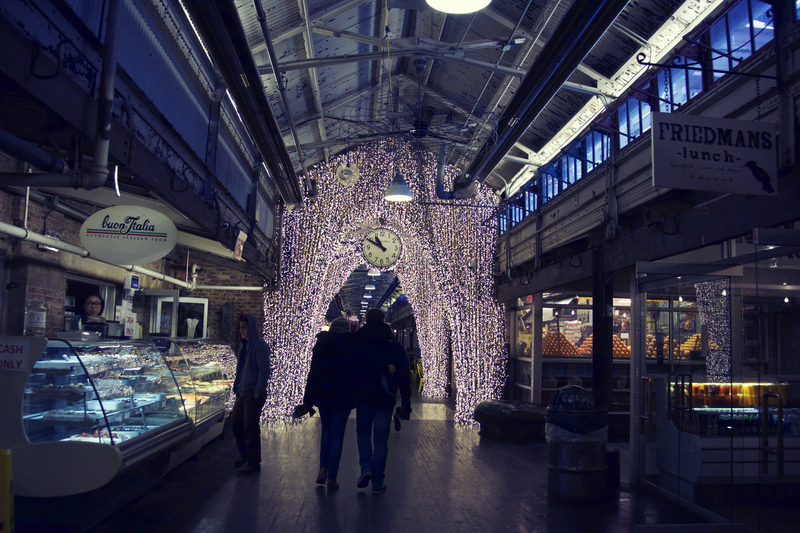 I want Chelsea Market as my local grocery store. Once again, we managed to avoid the crowds and had the pleasure of walking through in relative peace and quiet. We stopped off at the High Line pop-up store and bought a magnet (although I was very tempted by the Diane Von Furstenberg/High Line notebooks) and browsed the wonderful Posman Books. There were so many places to choose from for coffee and brunch, but we decided on a sticky bun and apple cake from Amy’s Bread. Sitting outside the bakery, we watched the Google crowds coming in to pick up their lunch and I finally got it. I got New York. 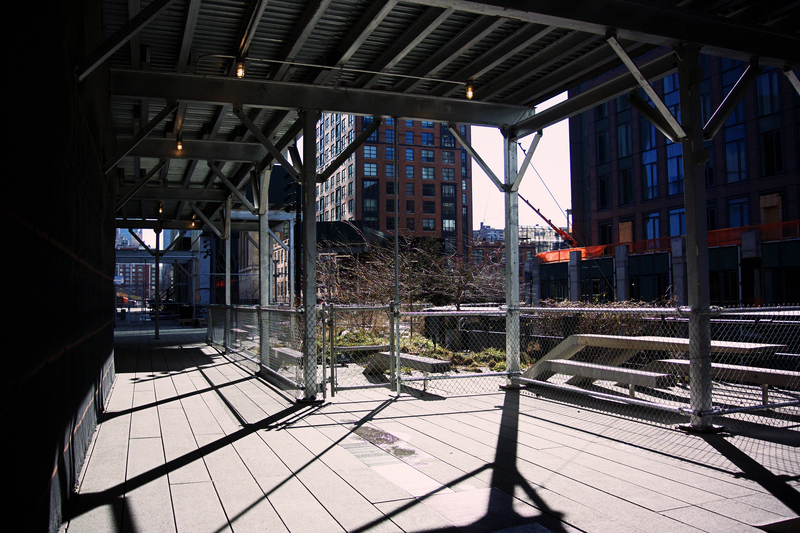 After my first visit, I said ‘I didn’t get the immediate “Oh my goodness, I want to stay here forever” feeling’ but Chelsea Market, the Meatpacking District, the High Line – they have my heart. I was all wrong! Now, I just need Husband to get a job at Google and we’re golden. We dragged ourselves away and started the very sad trek north up 8th Avenue. We went passed the Upright Citizen’s Brigade Theatre where I screeched “IT’S AMY’S THEATRE!” (I don’t know if I was expecting Amy to appear or something), passed the US Postal Service building which is insanely grandiose, before we realised that at the rate we were walking, we’d be back at the hotel far too early to go to the airport. So, short notice plan, we changed direction and headed towards the East River. We stumbled across Grand Central Station, and I popped in to use the bathroom (that’s what it was built for, right?). 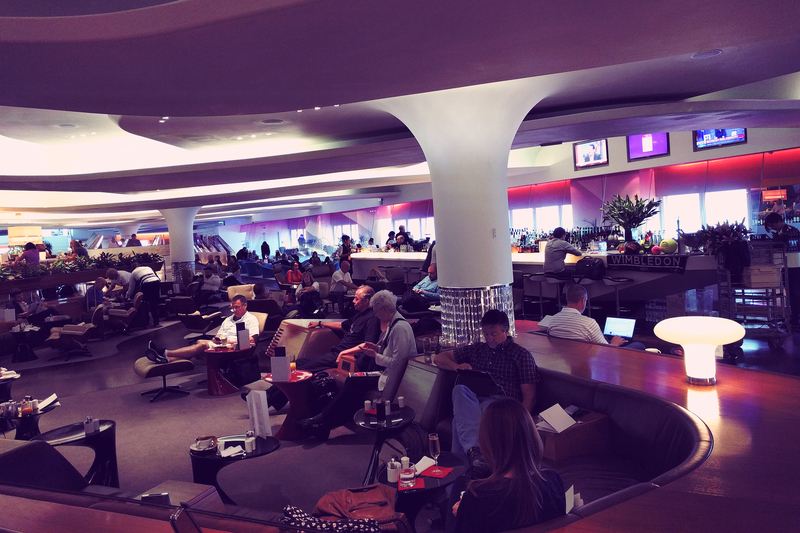 We did think about eating in one of the five billion amazing eateries in the terminal but it was crazy busy. So instead, we went back outside and kept walking until we reached the UN building. For no reason. We didn’t really have time to go in, although Husband would have dearly liked to, so we just peered at it from the pavement. We then carried on up 1st Avenue, where I got the insane giggles at the amazingly named UN Piece Cleaners dry cleaning store. Give me a minute, laughing at it again. I’ve just googled it, and no one on the internet is finding this funny. What’s the matter with people? Anyway, we’d spent enough time wandering around, so we crossed back to the hotel to be ignored again whilst trying to collect our bags (grr). It was around lunchtime and the streets were packed with city workers grabbing lunch, but fortunately we didn’t have too far to go to get to the Subway. We settled in and hoped for a quiet 45 minute journey to Sutphin Boulevard. Sadly, it was not to be. About two stations in, a group of teenagers got on, started blaring music, then having a dance battle for money. This went on for a couple of stops, and we managed to do our best impression of awkward British people by staring straight ahead. We breathed a sigh of relief when they finally switched the music off and left the train, only to realise they had been replaced by a couple of guys with huge drums. By the end of the journey, we were beyond relieved to escape the chaos. Security at JFK was a nightmare. They only had a couple of those ridiculous millimeter wave body scanners so the queues were snaking round for what felt like hours. I wasn’t particularly happy about going through the scanner but I couldn’t actually see any female agents around who would do a pat down, so I knew I’d have to wait an insane amount of time. I just sucked it up and walked through. I grumbled about it for a good few hours afterwards. We then walked around the airport several times for something to do, before settling down with a Shake Shack, as per our JFK tradition. We even pushed the boat out and got a concrete each – mine was an extremely yummy chocolate thing with about fifty extra chocolate trimmings, and Husband got the much healthier (!) granola vanilla raspberry version. Despite worrying about whether our plane would be cancelled (after everything was cancelled the day before) we boarded and took off on time. We had an exit row and the space was obscene – I could pretty much lie on the floor. In flight entertainment for me this time was While You Were Sleeping and a nap through Divergent. Annoyingly, this meant I slept through breakfast, but woke with enough time to watch a 4 episodes of Brooklyn-99. Classic plane media. The flight wasn’t without worry though. About two hours in, I suddenly became aware of a kerfuffle in the row behind. A flight attendant was saying quite loudly: “Sir! SIR! Are you OK?” I tried to subtly listen in to what was happening, getting concerned for the elderly guy sat directly behind me who was flapping about. As it turns out, it wasn’t the elderly man; it was the young guy behind Husband. The attendant rushed him into the bathroom, and shortly afterwards the call went out to see if there was a doctor on board. I really thought that we’d be turned around as we were still closer to the US than the UK and whilst I felt bad for the man, my heart sank. We’d managed to escape snowpocalypse; surely we couldn’t fail now! No doctor appeared, and after about 15 minutes, the guy came out of the bathroom, said “Oh, I’m fine now” and sat down. WHAT THE HELL WAS THAT?!?! Did you just need a poop or something? After the mini-drama, everyone settled down and it actually felt like a really short flight. Soon enough we were back in Heathrow and waiting for the bus to the car park. Jet lag caught me pretty much as soon as we got home, and the cold that had threatened Husband grabbed him on Thursday and me on Saturday. I can’t help feeling that having a cold would be much more easy to handle in Chelsea Market, with a sticky bun and homemade lemonade. Stupid UK.